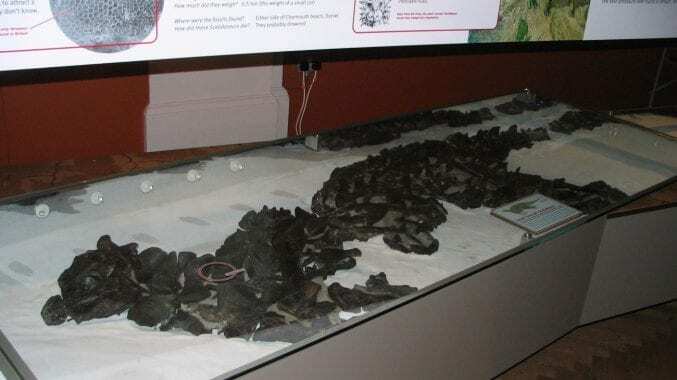 The amazing Scelidosaurus dinosaur fossil that usually takes pride of place in the Dinosaurs Gallery at Bristol Museum & Art Gallery has temporarily been taken off display so that it can be thoroughly studied by an expert palaeontologist. Scelidosaurus is an early type of armoured dinosaur that lived about 195 million years ago (i.e. in the early Jurassic). This is one of only two near complete examples discovered so far in the world and is particularly well preserved, with the potential to provide much interesting new information. It is therefore really important that this research takes place. We apologise if you’re disappointed at not being able to see the specimen during this time but it will be back on display on Tuesday 12 June 2018. Thank you for your patience while this important research takes place. Who is currently researching the specimen and is a publication to be completed in the foreseeable future? Does Bristol now own the fossil. : ie. curated into collections?